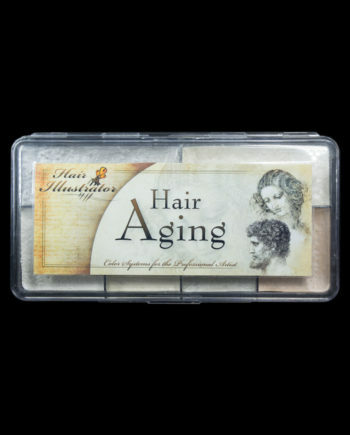 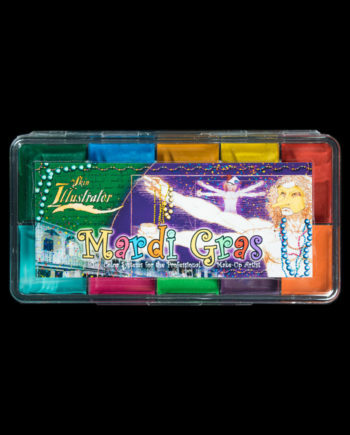 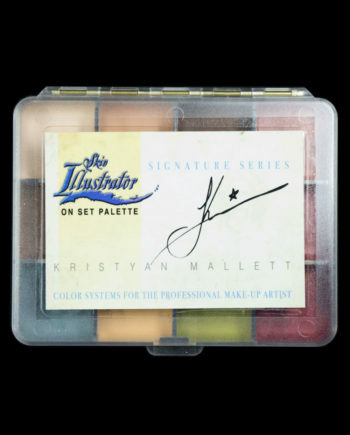 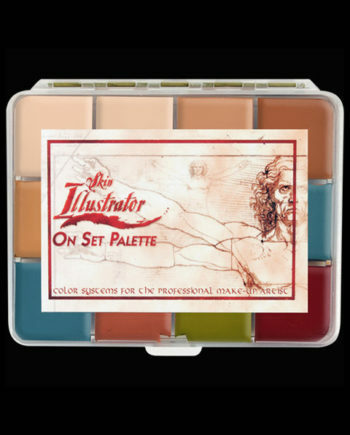 The colors available in the Flesh Tone Palette system range from the palest of pink tones to the deepest rich yellow tones. 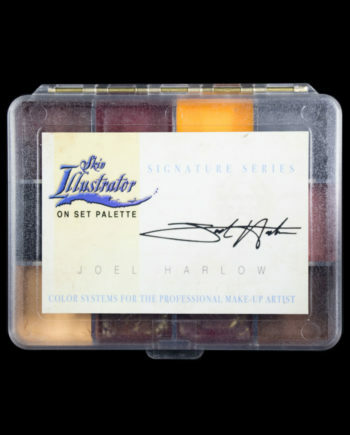 The system contains skin tone colors with warming/cooling adjusters that are ideal for fine tuning a skin tone mix that’s a perfect match, or for creating a subtle bruising for close camera work. 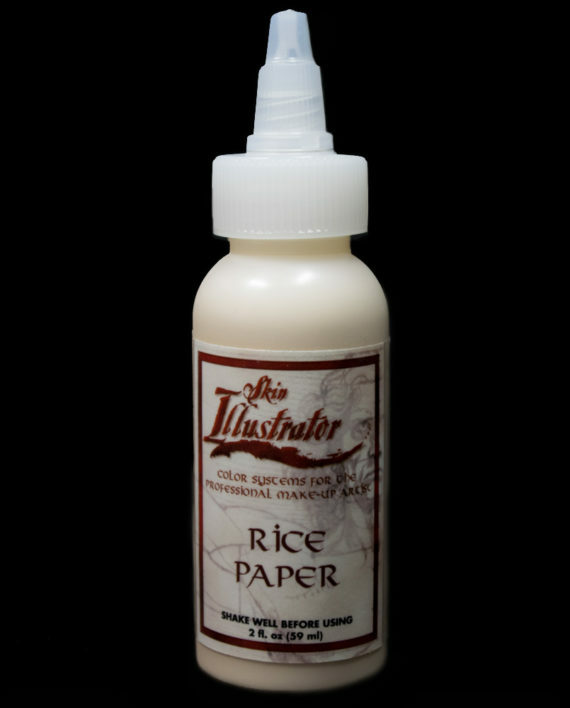 Rice Paper, the staple of the palette, can be used as a white color to lighten a particular mix, or on its own to match the skin. You can use Natural 1 and 2 as the basis for most Caucasian tones. These colors already lean to the yellow side of a natural tone so you can decide how much warmth or coolness to add. If you need to warm the Naturals, add a little Coral Adjuster or Rose Adjuster 2. If you need to cool the tone, add a little Olive Adjuster (liquids only) or Vein Tone to achieve a beige color. Lao 1 and 2 will be the basis for your yellow undertoned subjects. Start with these colors and you can lighten the tone with a Rice Paper mix. To make your color more beige, add Vein Tone. To make your color more olive, add Olive Adjuster 2, and if you want to add a touch of golden quality, use the Coral Adjuster. 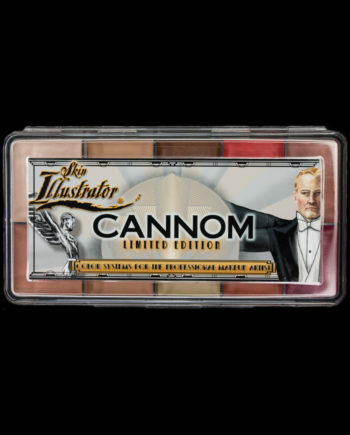 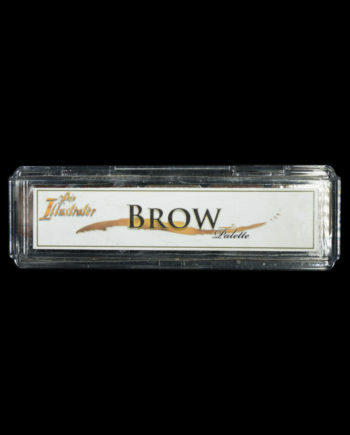 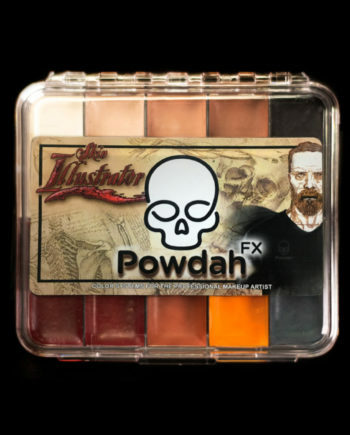 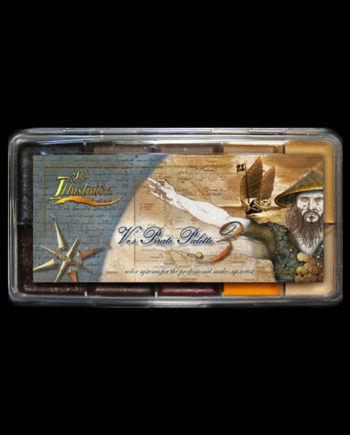 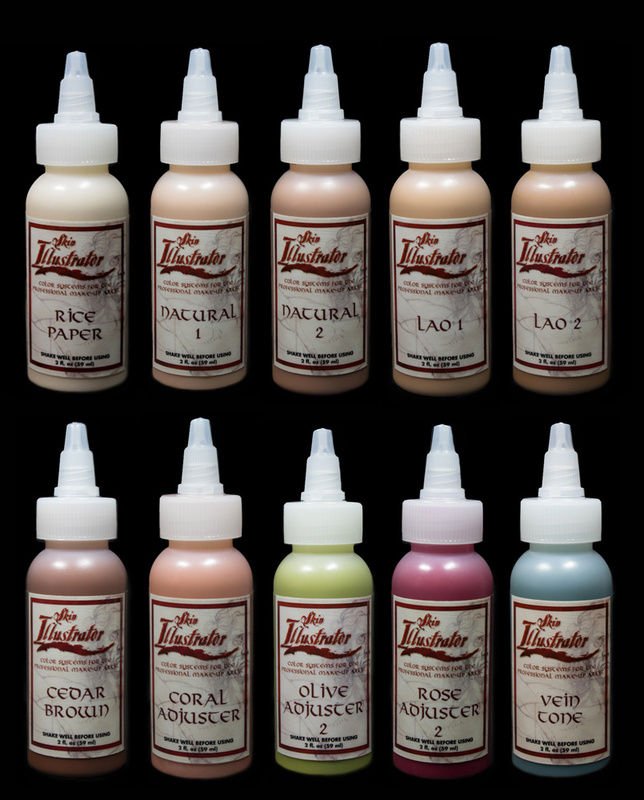 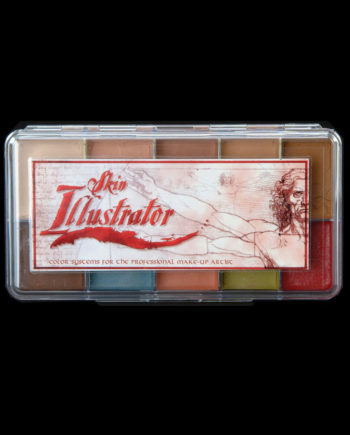 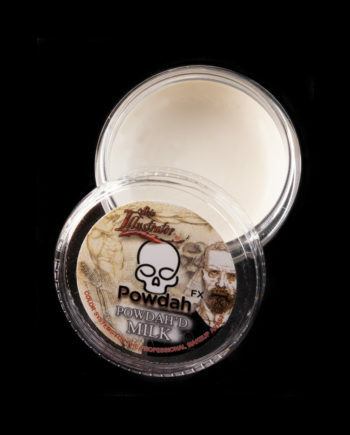 Cedar Brown is a warm yellow based brown that can add a tan to your actor or darken the 5 basic flesh tones, All of the color adjusters have been formulated to intermix with the flesh tones.